Exclusive! 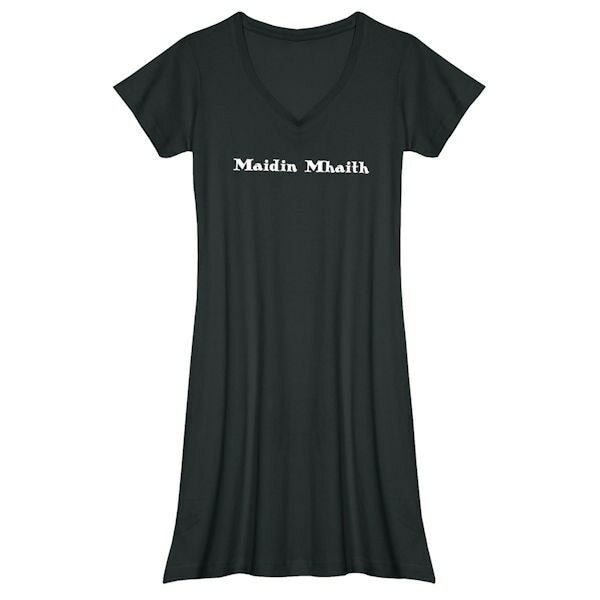 The back says "oiche mhaith" (good night), the front says "maidin mhaith" (good morning). Now, how to say them out loud? "Eeha wot" and "modjin wot." Black nightshirt is 100% cotton. Hangs 35". Sizes S/M or M/L. Imported.